UBREWUBREW cofounders Matt Denham and Wilf Horsfall. DIY brewery UBREW has pre-sold over 75% of memberships for its second site in Manchester before it’s even opened up. 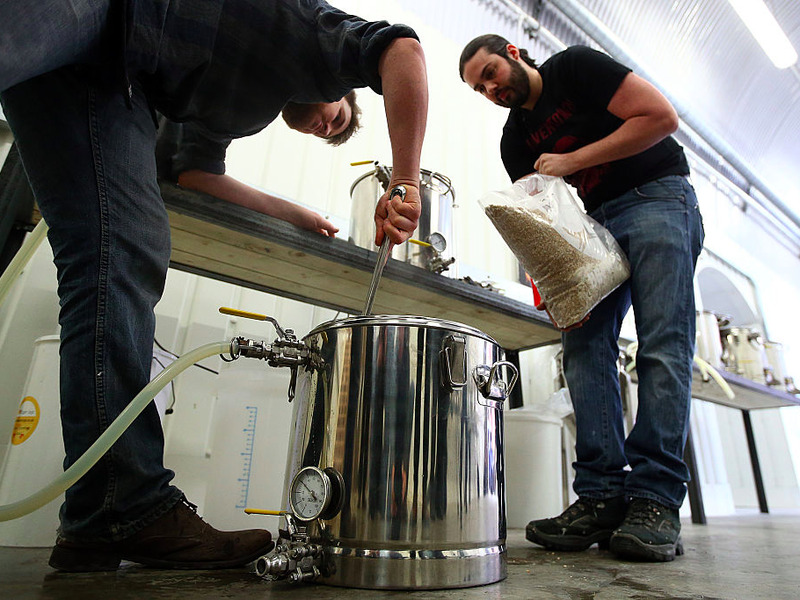 UBREW, which launched its first site in London just over a year ago, lets people use its equipment to make their own beer and provides top quality ingredients and guidance to soup up the homebrewing experience. Memberships cost between £50 and £80 a month. Brewers can brew up to twice per month and can brew around 35litres at a time. They reserve the brewing kit using an online calendar as well as a bottling slot two weeks later after the fermentation process. 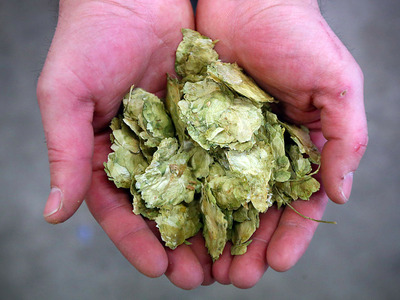 When membership and ingredients are factored in, UBREW estimates that the beer costs around 75p a bottle. Horsfall, 27, and cofounder Matt Denham, 32, first met when they both worked at a coworking space called Impact Hub Westminster in London — Horsfall was a freelance marketer and Denham working in business development for the Hub. Both were keen homebrewers who struggled to do much in their tiny flats. Chatting, they dreamed up the idea of UBREW. Carl Court/Getty ImagesThe lads hard at work using their equipment at the London site. The demand spurred UBREW on to do a full crowdfunding round on Crowdcube, raising £112,000 on the site. UBREW Bermondsey hit capacity a few months after opening and currently has 150 memberships, representing between 450 and 500 members, Horsfall estimates. The site currently has a waiting list of 822 people. Horsfall puts the success down to a trend towards artisan products and the rise of craft beer in the UK over the last few years. 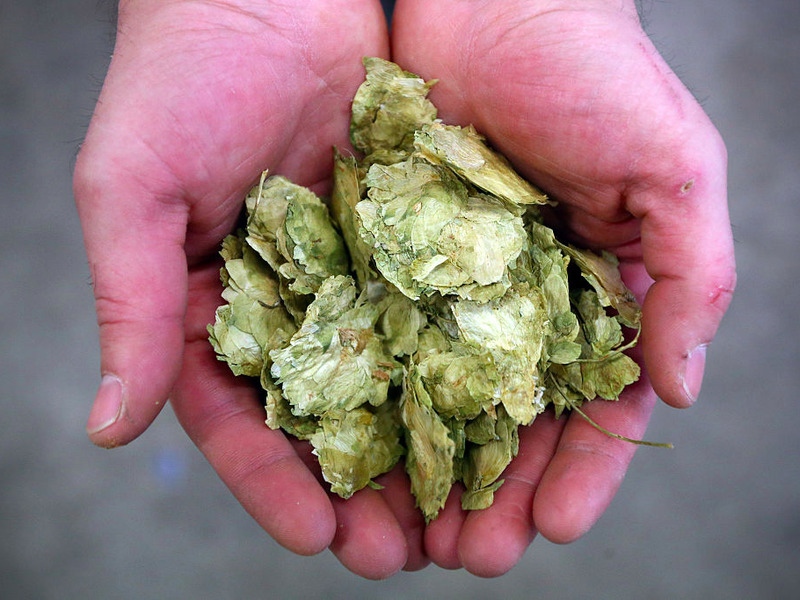 Carl Court/Getty ImagesUBREW members can buy all the ingredients they need from UBREW, including great hops. “I think there’s a kind a moment towards people enjoying doing things for themselves again,” he says. “Over the last 50 years or so we’ve gone further and further away from the production of the things we consume and you can see people trying to get back to it. It’s happening in other areas: people paying more in order to butcher their own meat, for example. So what does the beer they make actually taste like then if they’re complete novices? 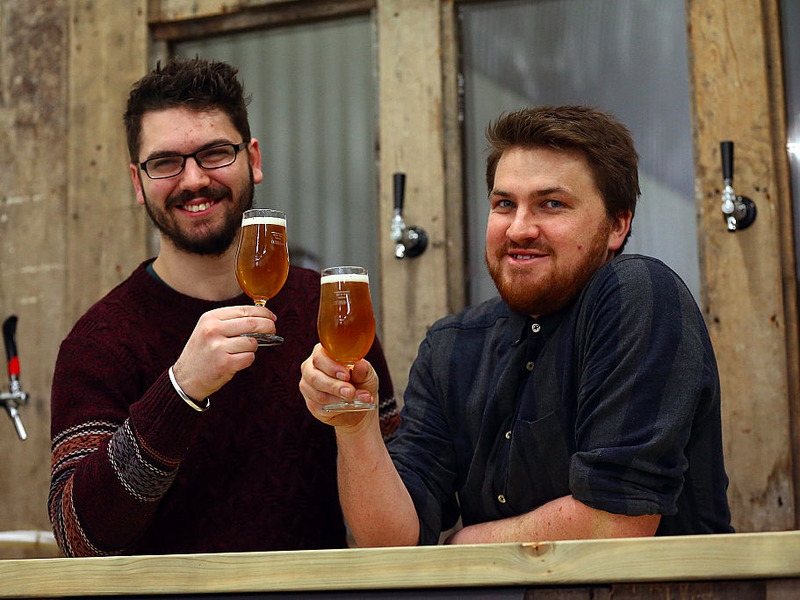 “People are making some excellent beers,” Horsfall says. “Obviously, there are the odd batches that go wrong, but it’s all about learning from those mistakes. Speaking of which, I recently tried one of UBREW’s own concoctions — a lemongrass and ginger wheat beer. I have to say it was very nice. UBREW, which makes its own beers, has a “tap room” attached to its brewery where it sells its own beer, beer brewed by members, and trendy craft cans and bottles from across the country. 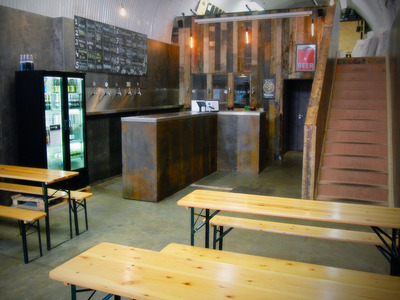 It’s London location is on what’s known as the “Bermondsey Beer Mile” — a stretch of six or so micro and craft breweries clustered along a railway line — and on Saturday it is rammed with beer aficionados doing the run. Carl Court/Getty ImagesCheers! Cofounders Horsfall and Denham. 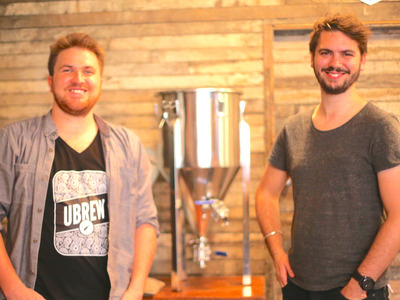 UBREW recently took on £140,000 investment from private “angel” investors to fund the Manchester operation but is also pursuing the same pre-sale of membership model it used in Bermondsey to help fund equipment. “That’s rooted in the idea that we should be cash positive from the start,” Horsfall says.